Goats are coming to do yoga. And cuddle. Participants take part in a Shenanigoats goat yoga class. If you’ve ever dreamed of playing with a baby goat while trying to twist into various poses, Snap Fitness in Benton may have just what you’re looking for. 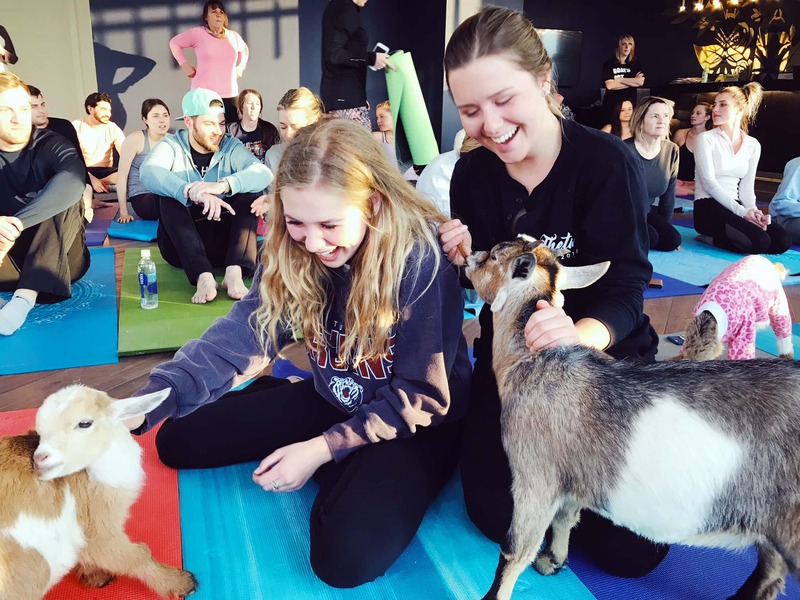 The Commerce Boulevard fitness center is hosting Shenanigoats, a Nashville, Tennessee-based business specializing in goat yoga. Three classes will be offered to help raise money for the Marshall Strong fund. 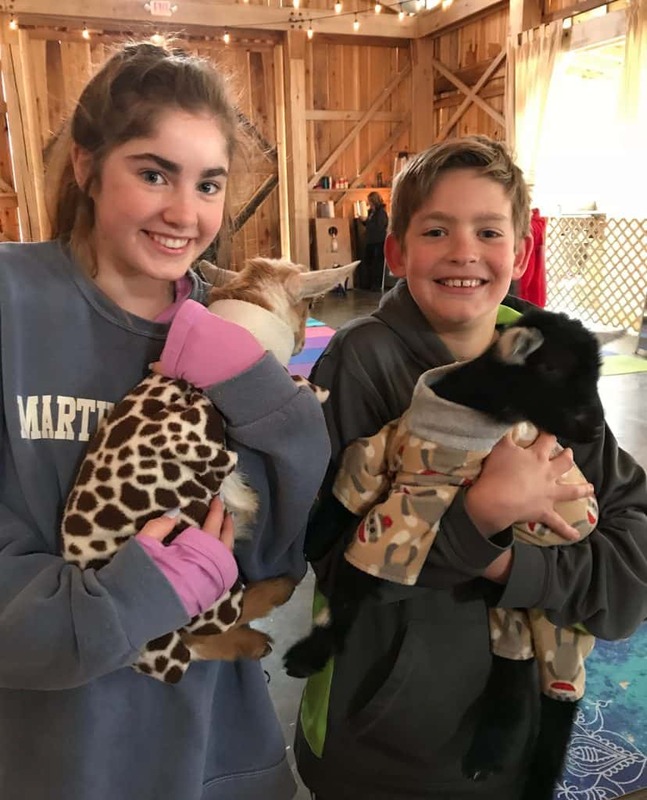 Inspired by Shenanigoats’ positivity, Snap owner Kim Robinson said she reached out to the company in hopes of having a fundraiser to benefit families impacted by the Jan. 23 shooting at Marshall County High School. Initially, organizers were only going to hold one class, but additional time slots increased with interest. Three classes are planned, which were sold out until Snap Fitness staff measured again and determined they would be able to add additional mats. Spots are still available in the 11 a.m., 12:30 p.m. and 2 p.m. classes. Robinson encouraged anyone interested in participating to sign up through Shenanigoats’ web site at https://www.eventbrite.com/o/shenanigoats-llc-14059643370 as mats are expected to fill up quickly Saturday morning. The focus is on fun more than yoga, as the goats don’t know how to do the Bharadvaja’s Twist or Downward-Facing Dog. Participants don’t have to know the poses, either. Robinson knows from experience. 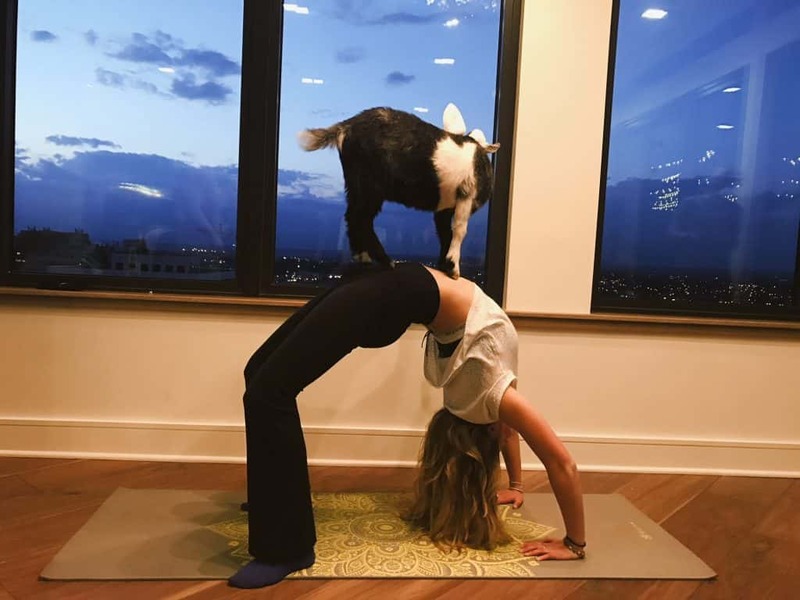 Last November she took a goat yoga class for her birthday. Classes are also open to non-members. For more information, call Snap at 270-387-0124.